Notes on what to watch at the International Forum 2013 and the rest of the Berlin Film festival. And India? Only two films, a documentary (hope to be surprised by it) and an old Hindi-film in the special screenings of the Forum. Not much for one of the leading film countries in the world – and I am not talking about the Bollywood industry which produces more crap than Hollywood in its worst times. 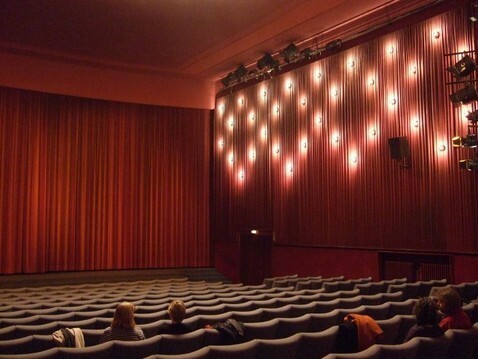 But the Parallel Cinema is still alive. Bollywood did n´t kill completely the diversity of India´s regional Cinema. And in art Cinema it is still a country with great names, the Grand madame Aparna Sen in all respect one if not the finest narrative women filmmaker in the world, Goutam Ghose, Bappaditya Bandopadhyay, Anjan Dutt or Rituparno Ghosh, to mention just a few. And even among independent filmmakers, I came across to such great talents like Paramita Das, Anamika Bandopadhyay or Kaushik Mukherjee. Well, thats an old problem, which bothers me every year. But once again – the last Indian film in the Berlinale-competition for example was CHARACHAR by Buddadeb Dasgupta 1994! If I could pick up an Indian entry for the competition this year, I had to recommend Anjan Dutt´s latest film DUTTA VS DUTTA, an autobiographical masterpiece by this director who is more known as a singer, songwriter and actor in films by Mirnal Sen, Aparna Sen, Buddhadeb dasgupta or Goutam Ghose. It was released end of November last year in India, means still open for any competition of so-called A-festivals, but no one registered this wonderful film. Back to the Forum, which remained my favourite section over the years, this year there will be again a small retrospective of an old Japanese master: Keisuke Kinoshita. For about 10 years it became a tradition to highlight a Japanese master. 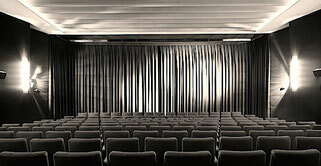 The Forum screens 5 relatively unknown films. There is no question about the fact that The International Forum played in the last 43 years an important role in the discovering of Asian film history. There will be also a rarity from the early Korean Cinema, where the country was still occupied by the japanese. The film Cheongchun-eui sipjaro (Crossroads of Youth) by Ahn Jong-hwa from 1934, from a period where only a few films from Korea have survived as prints. Hopefully beside such names like James Benning, Anja Salomonowitz there will be the one or the other film which surprises me if from India, Japan, Taiwan or Thailand. A special Homage will be dedicated to the French filmmaker Claude Lantzman whose SHOAH is one of the most profound documentaries about the Holocaust. Last but not least under “Berlinale-classics” there will be a screening of Ozu´s TOKYO MONOGATARI which was last year digitally restored. At the Berlinale Special section Yoji yamada´s new film TOKYO KAZOKU will be screened, a kind of Remake of Ozu´s famous TOYKO MONOGATARI. I am wondering what kind of film it will be. I am an unconditional admirer of Yoji Yamada, but just the intention to make a remake of a film by Ozu gave me very mixed feelings for two reasons. If it is really necessary to make a remake of such a masterpiece or is there anything to add to Ozu´s film? On my blog There will be like last year Notes on some special films of this year´s edition from up to around February 10.